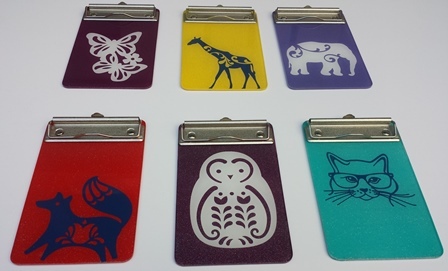 Purple Silicone Cell Phone Wallet features the Ladies First Disc Golf logo. Keep your cards, i.d., disc golf pass safe and secure in your cell phone wallet. Back is a sticky adhesive that lasts, stick onto your phone and you are ready to go. Also has a slot to help carry your phone with merely a finger. 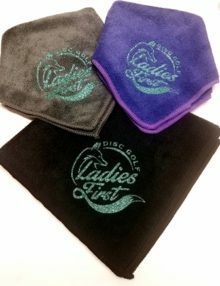 Take Ladies First Disc Golf everywhere with you, with your silicone cell phone wallet. 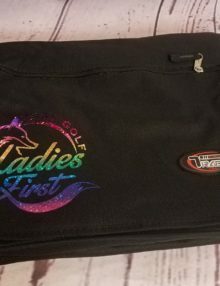 Purple wallet has Ladies First Disc Golf logo printed on the back. Sticky adhesive for long lasting stick to your phone. Wallet also features a slit in the back so you can hold your phone easily. 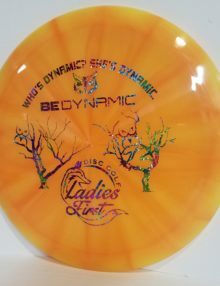 This handy dandy little helper will be super helpful when on the disc golf course. No need to carry your entire wallet with you when you are playing a tournament or even casual round. Slide your i.d., payment cards, and even disc golf pass into this silicone cell phone wallet. These days we always seem to have our phones with us, why not also carry the other most essential items with you! If you are all about compact carrying like me, you can even put your phone in your fanny pack, and with all your cards and i.d. in the cell phone wallet, you will be safe, secure and ready to go! 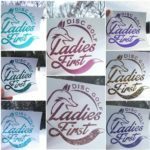 Running a ladies disc golf league? Always be sure you have business cards with you on the course when you put them in the silicone cell phone wallet! 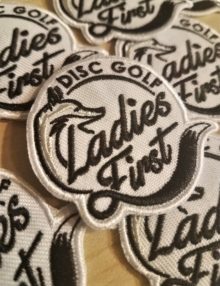 Hand them out to ladies, men and girls you see on the course to encourage their participation in women’s disc golf! 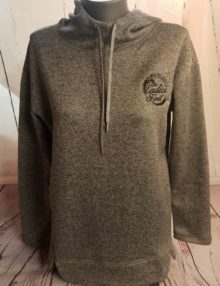 Going to a concert or sporting event, but don’t want to carry your whole purse? With the silicone cell phone wallet you can have all your important items with you in one place, phone, plus cards and i.d!